Turn boats upside down for waterfall fun! The Nûby™ Stacking Bath Boats teach coordination and development. 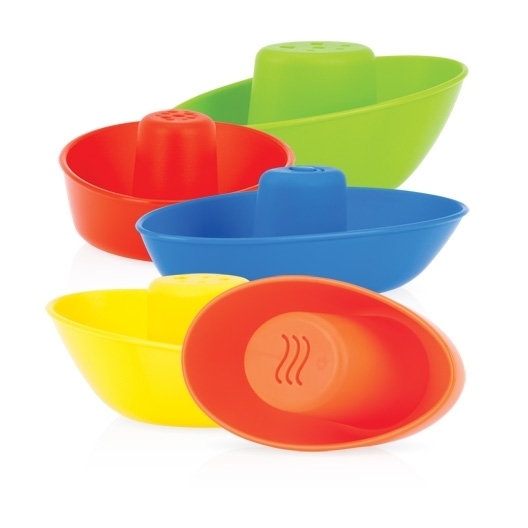 Stacking Bath Boats are a bathtime classic and provide endless fun. Your baby can stack them together, put things inside, and watch the water drain from the bottom of the boat. 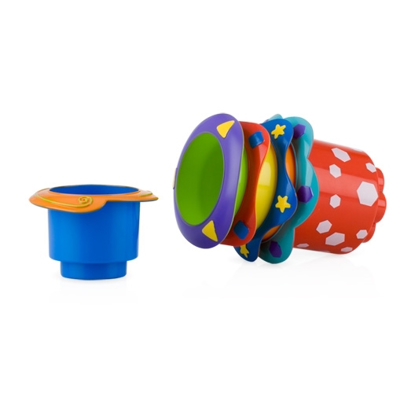 Nûby™ has created another fun and educational item, designed with your baby in mind! Stacking boats make storage a snap!